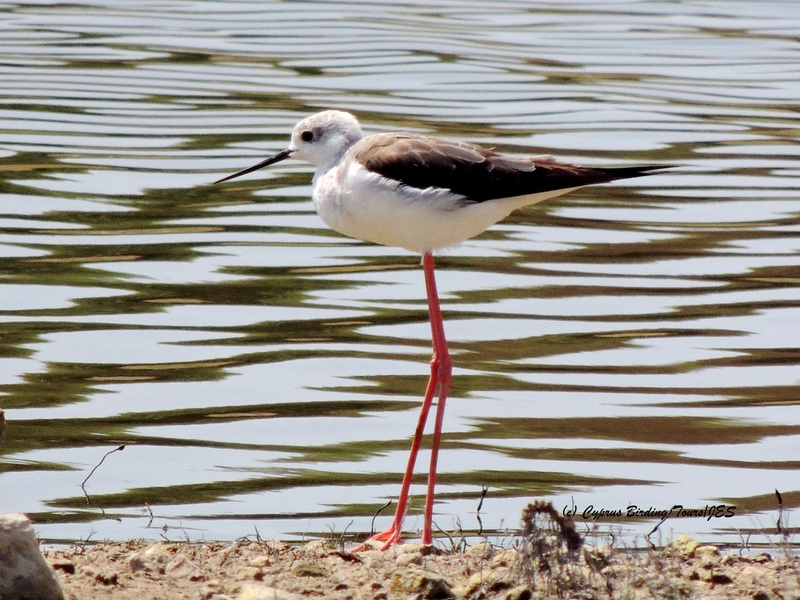 Categories: Birding | Tags: Black-winged Stilt, Common Crane, Common Pochard, Cyprus Birding, Cyprus birds, Cyprus birdwatching, Eurasian Spoonbill, Ferruginous Duck, Greater Flamingo, Larnaca birdwatching, Larnaca Sewage Works, Mediterranean Gull, Red-throated Pipit, Ruddy Turnstone, Slender-billed Gull, Spanish Sparrow, Tufted Duck | Permalink. Much quieter around Akrotiri today than it was when I visited on Tuesday, with a big clear out of waders especially. Still some good sightings though: two male Honey Buzzard over Phassouri Plantations being mobbed by Hooded Crows; two Eleonora’s Falcon putting up a flock of around one hundred marsh terns – mainly White-winged – over Akrotiri Salt Lake; good views of three White-winged, 14 Little and two Gull-billed Tern at the Zakaki outflow; and a European Roller behind Lady’s Mile. 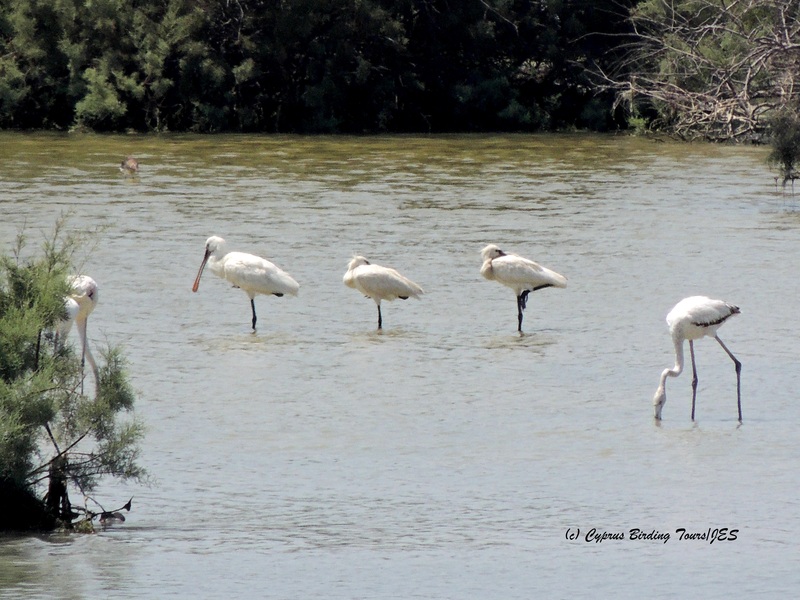 On the Larnaca Sewage Works Pools there were twelve White-winged Tern and a Eurasian Spoonbill was on Spiros Pool where the numbers of waders has also decreased compared to the last few days. 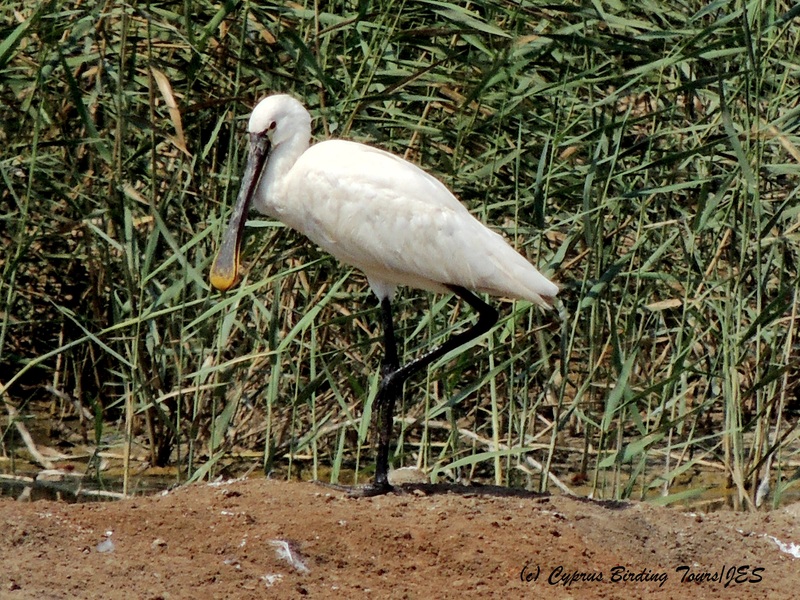 Categories: Birding | Tags: Akrotiri birds, Cyprus Birding, Cyprus birds, Cyprus birdwatching, Eleonora's Falcon, Eurasian Spoonbill, European Roller, Gull-billed Tern, Honey Buzzard, Larnaca birdwatching, Larnaca Sewage Works, Little Tern, White-winged Tern | Permalink. As soon as Richard, Lynda and I arrived at Phassouri Reed Beds, our attention was drawn to the small falcons in the trees and on the aerial wires in the distance. A flock of Red-footed Falcons of all sexes and ages; and in just ten minutes they stared to circle over the area and head southwards on their migration. A wonderful site and we had great views of them. Large raptors were thinner on the ground although we saw several Western Marsh Harrier (including an adult male), a few European Honey Buzzard, a couple of European Sparrowhawk and a Lesser Kestrel. European Bee-eater were passing over as were flocks of Barn Swallow. A surprise find was a Common Nightingale that flew out of a road side hedge and onto the road in front of us. There were many Whinchat and Red-backed Shrike and we also found a European Stonechat and a large flock of White Wagtail – winter visitors that will soon be very common. A more elusive winter visitor was found in the reeds – a Bluethroat. A Common Kingfisher and Squacco Heron were also present. A couple of Tree Pipits were present, a late juvenile Masked Shrike was by the roadside and we had good views of Spotted Flycatcher and Zitting Cisticola. 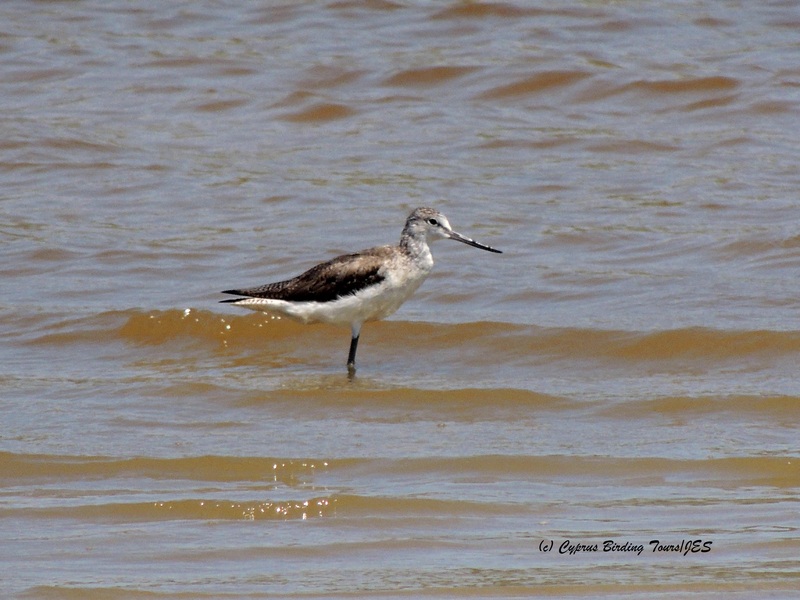 On the lake in the Gravel Pits area there was a Ruddy Turnstone – not a common bird to Cyprus. We drove along Lady’s Mile where we found Spectacled Warbler, Northern Wheatear and yet more Whinchat in the scrub. On the mud flats were Kentish Plover, Dunlin and Little Stint. 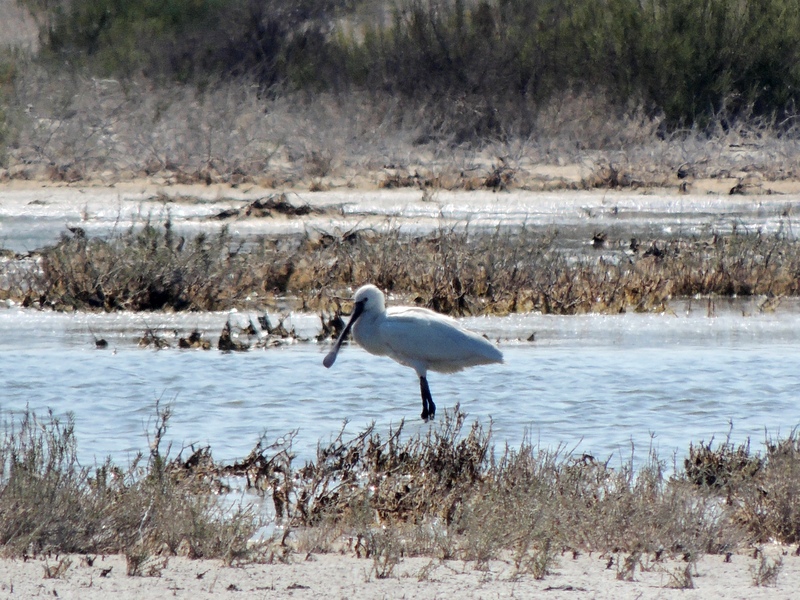 An adult and a juvenile Greater Flamingo were also there and we were able to watch the grey juvenile feeding. 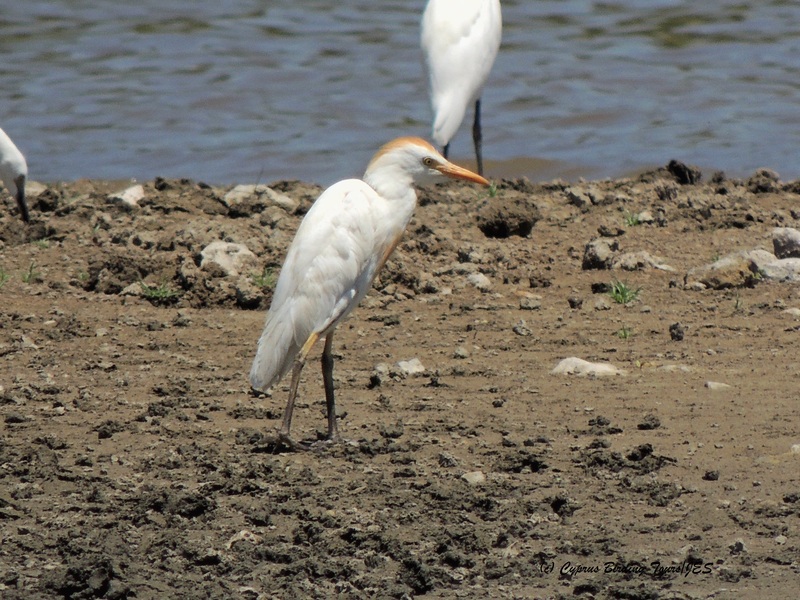 As we approached the hide at Zakaki I noticed a flock of egrets and was surprised to find when we got nearer that it was of eighteen Great Egrets and not the more usual Little Egrets. 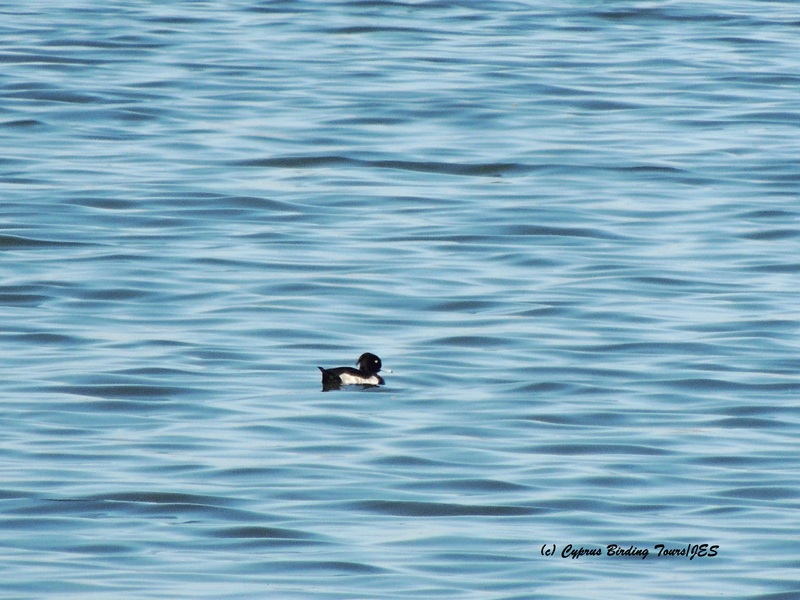 They were very flighty and soon disappeared further into the channel and out of sight from the hide. Also present were several Grey Heron, a couple of Little Egret and a very smart Eurasian Spoonbill. Mallard, Teal and Garganey were present. In the reeds we saw Cetti’s Warbler, another Bluethroat and a Great Reed Warbler. A couple of Yellow Wagtail were also around. I decided to return to Phassouri to eat our lunch and watch for any more raptors passing over early in the afternoon. More Red-footed Falcon and Western Marsh Harrier were around as were European Bee-eater. But we were in the right place at the right time, as we were told by other local birders that a Lesser Spotted Eagle had been seen a few minutes earlier near the bee-hives. 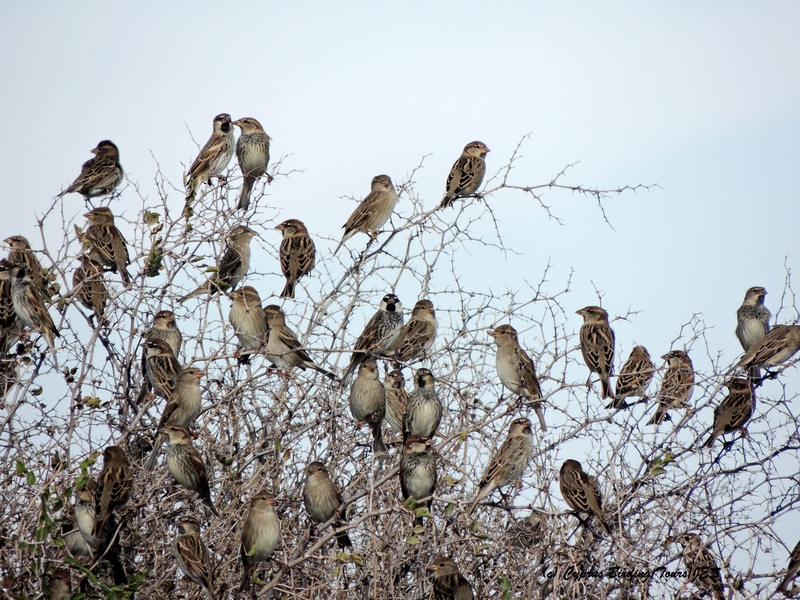 We headed there and joined them in watching the bird fly up from the eucalyptus plantation and continue its journey. We also found a Common Buzzard and saw a Steppe Buzzard migrating before we left to return to Paphos. On the way back we visited Asprokremmos Dam where we found a flock of Spanish Sparrow and saw a Long-legged Buzzard being mobbed by a Hooded Crow. 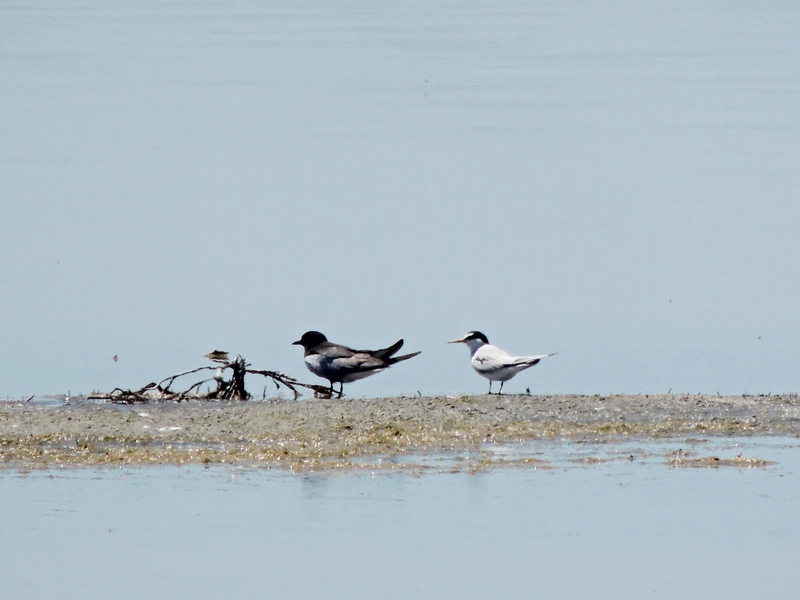 There were not many birds at Paphos Sewage Works other than White Wagtail in the alfalfa fields so we went to check out the Ezousas Soakaways. There were many Willow Warbler in the vegetation in the area but we also found two Common Snipe, a Garganey, a Squacco Heron, a female Blackcap and a Common Kingfisher. A Water Rail was heard and there were three Turtle Doves flying around as two Red-footed Falcon passed over. Thanks to Richard and Lynda for a good day’s birding with a good variety of interesting raptors. 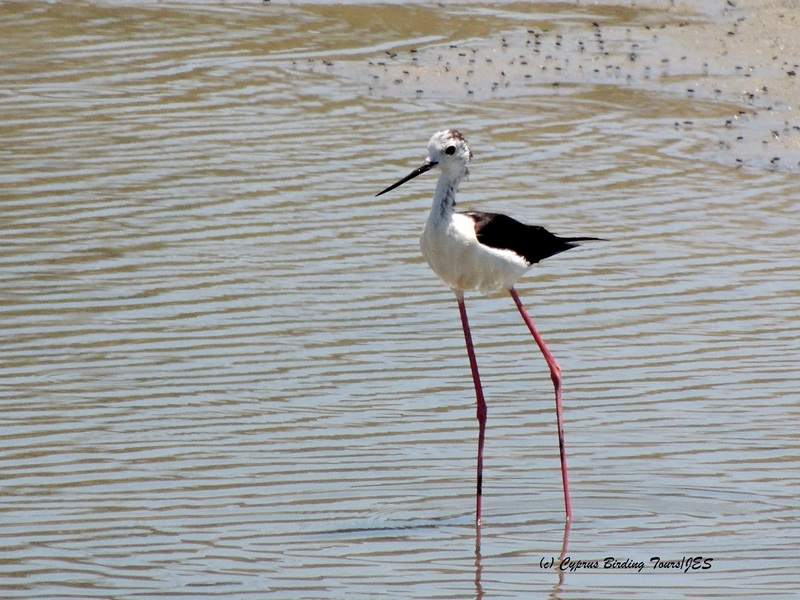 Categories: Cyprus Birding Tours Trip Reports | Tags: Akrotiri birds, Asprokremmos Dam, Bluethroat, Cyprus Birding, Cyprus birds, Cyprus birdwatching, cyprus trip reports, Eurasian Sparrowhawk, Eurasian Spoonbill, European Bee-eater, Great Egret, Greater Flamingo, Lesser Kestrel, Lesser Spotted Eagle, Red-footed Falcon | Permalink. Joined up with the BirdLife Cyprus field trip this morning at Akrotiri Salt Lake. The target species were Demoiselle Crane but there was no sign of these although a group of Greater Flamingo seen flying in the distance raised hopes for a few seconds. A couple of European Roller and a Lesser Grey Shrike were seen while scanning for the cranes. A good collection of birds were at Bishop’s Pool including a Black-tailed Godwit, some Ruff, several Wood and Green Sandpiper, Little Stint, some Yellow Wagtail and at least four Eleonora’s Falcon one of which perched in one of the eucalyptus trees for a while. A Broad-billed Sandpiper was on Lady’s Mile with several Little Stint, three Common Ringed Plover and many Kentish Plover. 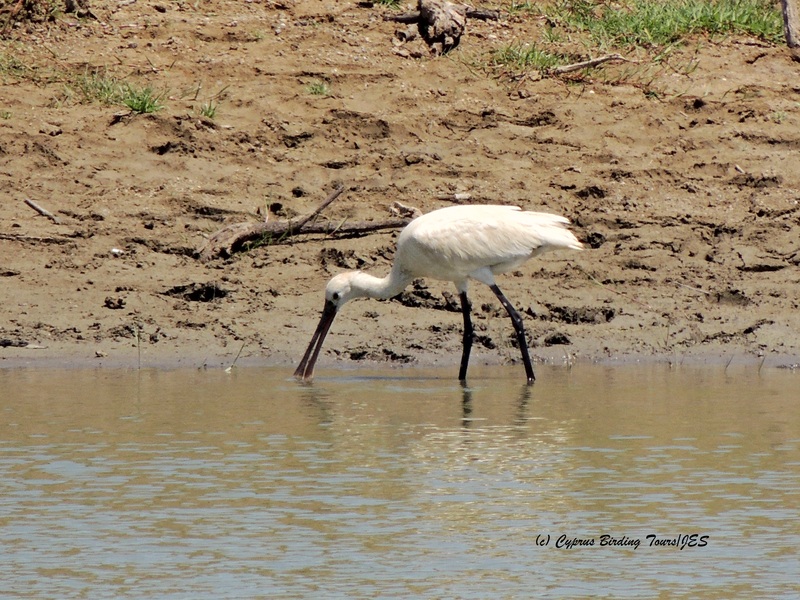 A Eurasian Spoonbill was on the muddy mound at Zakaki where there was also a couple of Little Egret, a Squacco and a Purple Heron, a Ferruginous Duck and a Garganey, several Little Stint, a Green Sandpiper, two juvenile Collared Pratincole, some Black-winged Stilt and Spur-winged Lapwing. Several Eurasian Reed Warbler were in the reeds as was a Great Reed Warbler. A Common Kingfisher was fishing in the area. 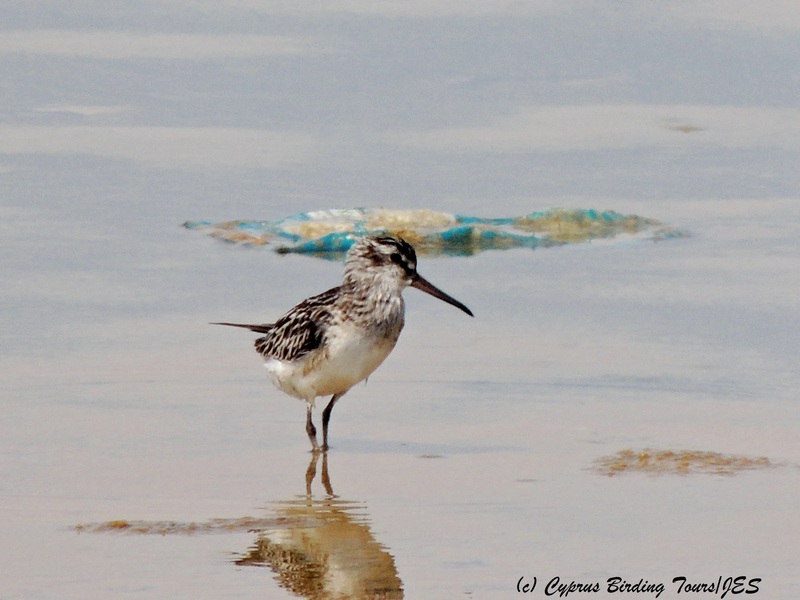 Categories: Birding | Tags: Akrotiri birds, Broad-billed Sandpiper, Collared Pratincole, Cyprus Birding, Cyprus birds, Cyprus birdwatching, Eleonora's Falcon, Eurasian Spoonbill, European Roller, Ferruginous Duck, Greater Flamingo | Permalink.